Working in conjunction with world renowned experimental guitarist Janet Feder, Josh will perform his latest visual work using custom augmented reality and audio reactive software. Multidisciplinary artist Joshue Ott combines drawing, programming, animation and video editing to create compelling time-based works. Initially trained as a 3D animator (BFA Computer Graphics Animation, Pratt institute, 1999), Ott first worked for small interactive agencies in the 90’s. While there, he discovered a love and talent for programming. As his capabilities as a programmer grew, he began to use those skills for creative expression beyond client work. In 2004, Ott programmed a piece of software that would later become known as superDraw. The first versions of the program offered the artist the ability to draw lines on a screen (using a Wacom tablet), then run special algorithms on those lines to create animations. This basic idea of using technology to augment the artist’s abilities continues to be a major theme in his work. Performing with musicians from all genres between classical and avant-electronica, Ott’s visuals have been featured at the Unsound Festival NY, Biennial of the Americas, Mutek, Communikey, the Plateaux Festival (Poland), GAFFTA, Le Cube Gallery (Paris), the Playgrounds Audiovisual Art Festival (Netherlands), and the Ars Electronica Animation Festival. He has performed with the American Composers Orchestra at Carnegie Hall; with Son Lux at MASS MoCA; with Gina Gibney Dance at the Baryshnikov Arts Center; and frequently at venues throughout New York City, including Le Poisson Rouge, Roulette, and Galapagos. In 2008, Ott began to experiment with multiple users drawing in the same space at the same time. Beginning with superDraw performances featuring two artists, Ott later expanded the idea to include many people. Using iPhones, users could draw with Ott during his live performances. In one performance (Communikey 2009), Ott had over 25 people drawing with him simultaneously. In 2009, with choreographer Gina Gibney, Ott created visuals with dancers for the dance piece View Partially Obstructed. After premiering at the Baryshnikov Arts Center, the work then toured in the US and Canada. In 2010, Ott curated an exhibition at the Devotion Gallery in Brooklyn, NY called Multi-user Art that featured works which allowed viewers to interact using their phones. 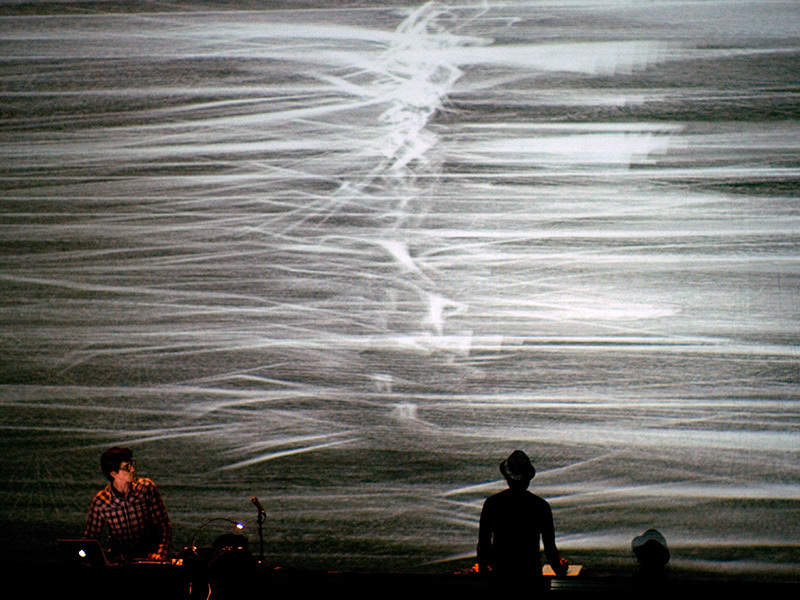 Ott’s piece for the show, called MultiDraw, allowed multiple users to draw together, modifying the user input through a choreographed preset of distortion algorithms creating live visuals for a piece of classical music. With the advent of the iPad in 2010, Ott saw an opportunity to bring his work to a larger audience in a completely new way. 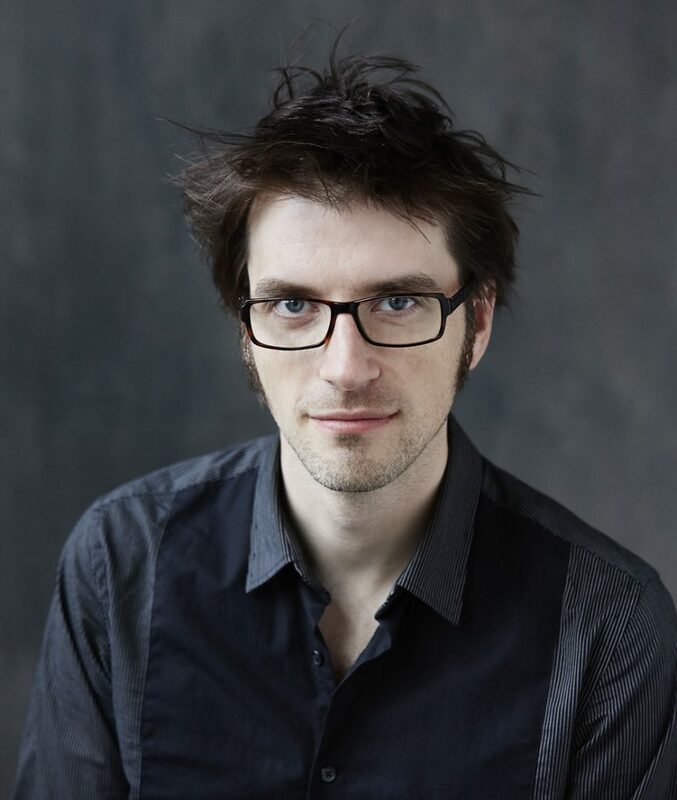 He created an iPad/iPhone app called Thicket with longtime musical collaborator Morgan Packard. 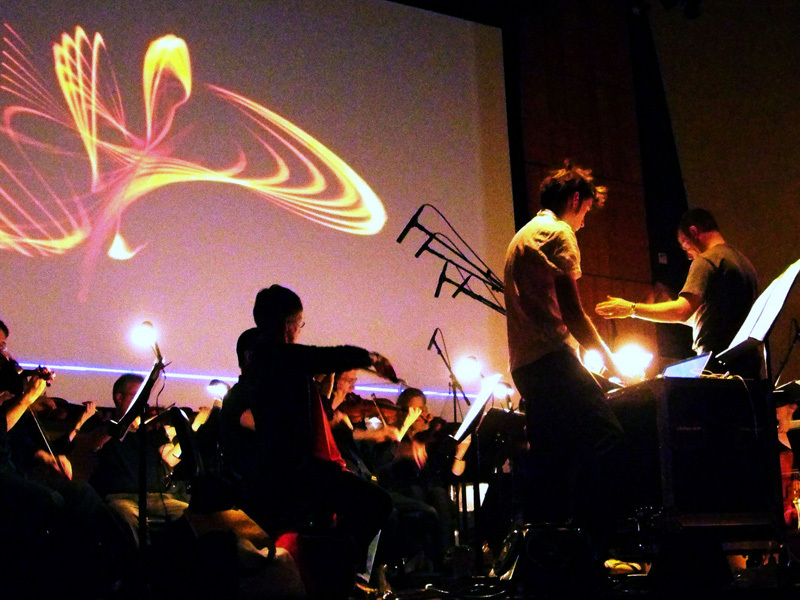 The first version of Thicket was based on prior audiovisual performances made by Ott/Packard. As Thicket evolved and became more popular (it has been downloaded over 500,000 times), Ott and Packard have continued to add to the app, creating completely new audiovisual works tailored to the idea of an interactive touchscreen. In 2012, Ott set up a multi-user drawing installation at the 120 foot video wall of the IAC Center in NYC. Audience members could draw on the wall using their phones as Ott manipulated their lines live. And in 2013, Ott was commissioned, with Hugi Gudmundsson, Sverrir Gudjonsson, Matthías Hemstock and Hilmar Jensson, to create SOLAR5, a performance and installation at the Harpa Center in Reykjavik, Iceland. Their collaboration was nominated for the 2014 Nordic Music Prize. Ott continues to work on and release software for iPad/iPhone, including Snowdrift, a snow themed drawing app, the immensely popular Trident Falling Stars, Intel’s Tangled Curiosity App, and Morton Subotnick’s Pitch Painter. More info at Interval Studios website.